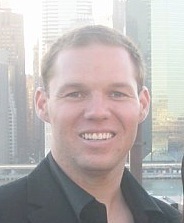 Scott Suciu, MD was born and raised in Arizona. He completed his Anesthesiology training at Boston University, where he graduated as Chief Resident. During his residency in Boston, Dr Suciu completed pediatric rotations at Boston Children’s Hospital and learned ultrasound guided regional anesthesia at New England Baptist Hospital. He now lives in Phoenix with his wife and 3 boys.